Numerous meetings have been devoted to cerebral vascular accidents during the last few years. Nevertheless our experience at La Salpétrière shows that cerebral infarcts are not always well explored. Indications for angiography today, as well as the main CT aspects during the evolution of ischemia seem not to be always well known by radiologists. 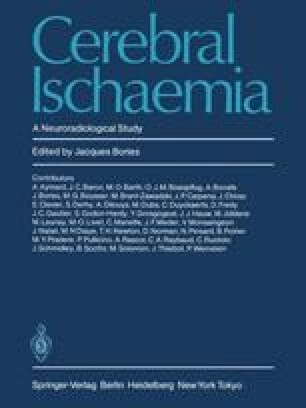 We therefore thought it useful to have a special issue devoted to cerebral ischemia; this is also the reason why this special issue looks more like a thoroughly worked out study than one exclusively devoted to a limited number of scientific papers.